I'm super jealous of this book! I hope you like it! So lucky. Definitely can't wait for this book to come out this week. I'm really feeling the intense NEED to reread this when it comes out. All the gushing reviews for it lately have totally put me back in swoon-mode. I <3 is so freaking much! This book is made of AWESOME!!! I loved this book. Happy Reading!! I'm reading Shatte Me right now, actually. Erm... I don't really know if it's living up to the hype for me. Awesome new header, by the way! Lucky you for getting Shatter Me! Everyone is raving about it. *jealous* I wanna read Shatter Me sooooo badly. Cannot wait to get my hands on a copy. Enjoy! Shatter Me is fantastic! Hope you enjoy it! The one is on my wish list! 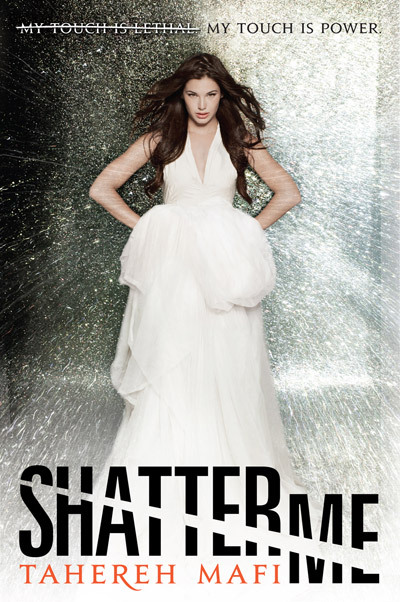 Shatter Me was an amazing read. Good mailbox. i have this at home, too. i hope you like it!